Coffee subscription boxes are a fun and practical way to expand your horizons beyond the supermarket coffee aisle. But what if you aren't sure where to get started? What if you need a little help figuring out the best coffee subscription boxes on the market? Here are just seven brands to consider. Atlas Coffee Club bills itself as a "coffee tour guide." Every month, they'll send you something new from Columbia, Kenya, Tanzania, Ethiopia and beyond. It's a great way to get a little culture with your morning brew. The coffee club doesn't stop with just samples, however. It also includes flavor notes, a brewing guide and a postcard from the country of origin. In this respect, it's less like a coffee service and more like a monthly gift that just so happens to include caffeine. If you find something that you like, the Atlas Coffee Club also offers a collection of globally curated coffee that you can order from and subscribe to, and it's all available on their website. You won't have to track down that wonderful dark roast from Indonesia that was delivered in February. You can get it right from the suppliers! 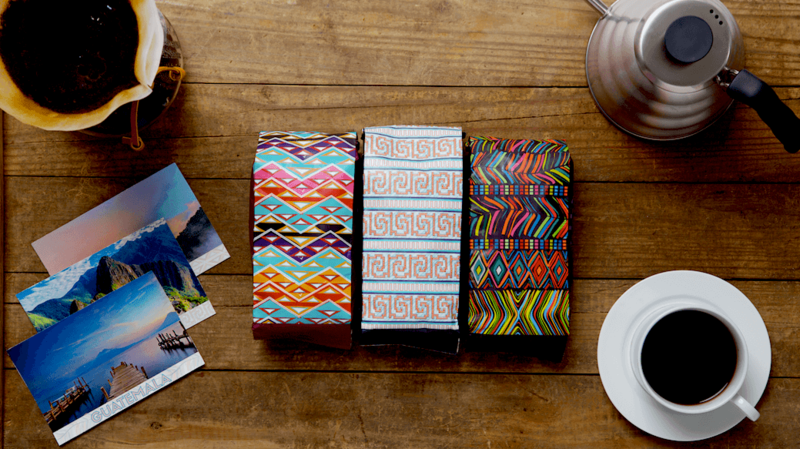 The Atlas Coffee Club isn't the only subscription box that offers coffee from around the world, but between its postcards, flavor guides and digitally-curated collection, it's one of the best. Join Atlas Coffee Club today! The trouble with many coffee subscription boxes is that they don't know what kind of java that their customers will enjoy. Driftway Coffee eliminates this guesswork by offering customized, made-to-order coffee deliveries based on your past preferences. Their first delivery is always a sample box filled with four different coffee bags. Once you've tasted the various roasts, flavors and blend types, you'll be asked to choose your favorites. Future shipments will be tailored to your established likes and dislikes. Driftaway Coffee is also renowned for their great customer service. They send reminder emails before every delivery so that you can make last-minute changes; they allow you to check, track and manage your orders from a digital profile. You can even send "farmer feedback" directly to the farmers that harvested your coffee beans if you have something to say about them. Stop wasting your time with coffee subscription boxes full of unwanted and unused samples. Choose Driftaway Coffee for a service that's determined to get it right. It might take an unusual path to your coffee pot, but the java offered by Driftaway Coffee is guaranteed to be fresh, hot and personalized to your taste. SUBSCRIBE TO DRIFTAWAY COFFEE TODAY! Are you familiar with mass-marketed coffee suppliers that don't care about quality? Because Blue Bottle Coffee isn't like that. For starters, all of their coffee is sourced by hand. They even talk about the person in charge of this on their website. (Hi, Charlie!) This ensures that their coffee boxes are always stuffed with premium whole beans that don't include any duds or stale offerings. Blue Bottle Coffee is also committed to giving you a personalized coffee experience. You can take a "coffee quiz" to figure out your favorite roasts and blend types before you build your future delivery boxes. Last but not least, Blue Bottle Coffee offers a welcome kit that will give you everything you need to brew your next cappuccino. From filters to drippers, they'll make sure that you're equipped with the right tools to give yourself an amazing coffee experience. They'll even throw in a stylish tote to hold everything! You don't have to go to a specialty shop for premium, hand-sourced coffee beans. 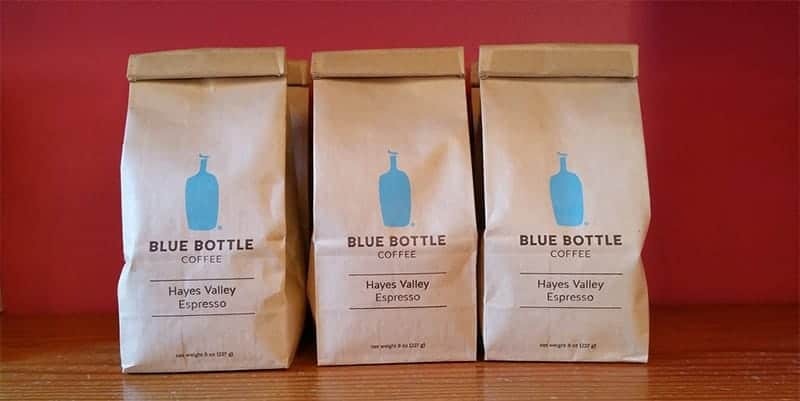 Blue Bottle Coffee will deliver them straight to your door. Sign up for a free subscription trial today! The ideal pick for coffee lovers who want the freshest beans possible. You already know that coffee beans aren’t fresh nearly as long as they say at the grocery store. 2-3 weeks of peak freshness—that’s it—which means every hour counts after the beans are roasted. DrippedCoffee Special Offer: Get a FREE coffee grinder with a bean subscription. JavaPresse takes this fact seriously, shipping their beans to you just 2 hours after they’re roasted. That means there’s virtually zero time for the beans to start getting stale while they’re waiting to be packaged. The other subscriptions on this list don’t publish how long it takes them to package and ship their beans. 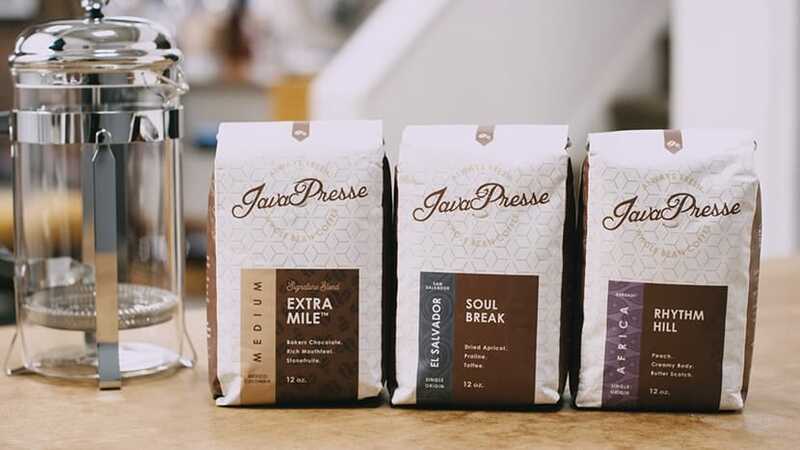 We’re not sure why, but it’s clear JavaPresse is the most freshness-minded here (which means more flavorful coffee for longer before it gets stale). JavaPresse is not only a roaster, but a curator. Each month they send a single coffee to all subscribers—and it’s always delicious. This allows them to be super picky with the coffees they find from around the world, so you can count on it being not only tasty, but also ethically sourced. They use a custom light-medium roast that brings out the best characteristics of each individual bean while also having that smooth caramel and cane sugar sweetness we really like. This bespoke roast profile also ensures some health benefits over darker roasts, like 10-15% more chlorogenic acid that can help maximize antioxidant benefits and reduce inflammation. You can tell they’re really proud of what they do by the size of their website. They have hundreds of articles (literally) and reviews online always mention the fast customer service. They’re also a coffee gear manufacturer—you may have seen their coffee grinder on Amazon has over 4900+ reviews (it’s the #1 seller for manual grinders). They manufacture a great grinder, so understand what to look for in whole bean coffee. You can’t choose the roast profile, flavors, or origin of your coffee. If you’re after the freshest cup you can possibly find, you won’t find a better pick than JavaPresse. You can’t choose your specific coffee, but the monthly curated bean always ends up amazing anyway. Dripped Coffee Special Offer: Get a FREE coffee grinder with a bean subscription. Mistobox is one of the biggest names in coffee delivery. They've been around since 2011, and they've amassed a mountain of gushing reviews from people all over the U.S. It starts with top-notch coffee. This is the backbone of all coffee subscription boxes, and Mistobox doesn't play around when it comes to quality. They offer gourmet brands that specialize in things like single-origin, 100 percent arabica beans, and their artisan roasters do everything by hand. Their beans are also roasted after you place your order, not before, so that you can always be assured of their freshness. Another great thing about Mistobox is its customization potential. When you sign up for your first box, you'll be given several choices concerning roast levels, coffee types and delivery frequencies. Whether you're looking for a single espresso delivery every two weeks or a light blended sampler every four weeks, Mistobox has you covered. Are you shopping for a gift? Mistobox makes it easy to purchase something for the java junkie in your life. You choose the price and subscription length; they'll choose the coffee type to be delivered straight to their door. Everyone gets what they want! 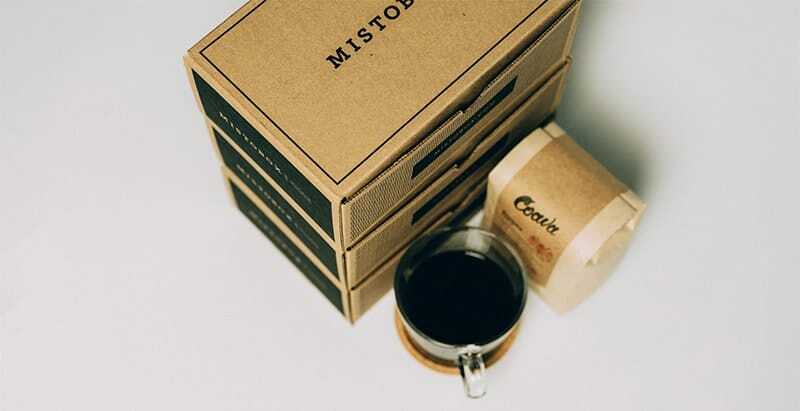 There's a reason why Mistobox is one of the biggest names in coffee subscription boxes. They're fast; they're flexible; they offer high-quality coffee brands like Ruby and Verve. You could definitely do worse in terms of coffee suppliers. If you aren't quite sure that you trust lesser-known coffee subscription brands, sign up for Mistobox with full confidence in their service and reputation. Enjoy the taste of Seattle and Portland when you subscribe to Bean Box. 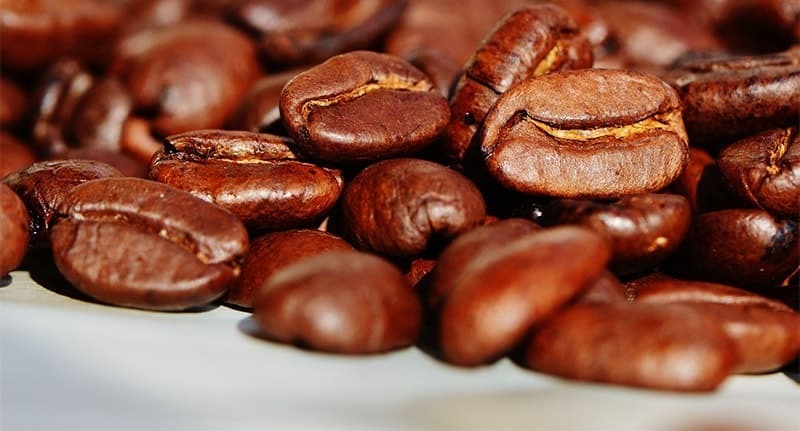 Both cities are famous for their gourmet coffee roasters, so you can be guaranteed of the origins and the quality of your coffee when ordering from them. You don't pick the brands that you receive. Instead, you sign up for something like a "Bean Box Sampler" where you're given multiple 1.8 oz bags with different flavors and aromas. There's also "Coffee of the Month" where you get to try a 12 oz bag of whatever they're currently enjoying in the northwest. You can choose between light, medium and dark roasts, and you can choose between things like espresso and decaf. But that's it. The point of Bean Box isn't to craft a detailed and personalized coffee shipment; it's to broaden your palette while knowing that you're still getting top-notch beans from the country's best roasters. If you're tired of drinking the same old sludge every morning, start experimenting with the tastes and textures of Bean Box. Crema is for people who like to be surprised by their coffee subscription boxes without being worried that they'll open the flaps and find a hated roast. This is because Crema operates through the use of "Coffee Playlists." Once you sign up for Crema, you'll be asked to create a playlist with brands that you like or want to try. You can search for these brands based on things like flavor, roast type, brewing method and country of origin. After you've created your wish list, Crema will go down the line and ship them to you based on your preferred delivery schedule. This way, you'll always have fresh and unique coffee to try, but it won't be from strange roasters that you don't know and can't research beforehand. Many people also forget what order that they've put their playlist in, so there's an element of surprise to each delivery. Even though you have complete control over your coffee experience, you'll still get to enjoy the thrill of not knowing what's on your doorstep! If you like to control the degree of surprise that you're given by your coffee subscription boxes, consider Crema. What if you don't want control over your coffee experience? What if you want to explore new tastes, try brands from all over the world and experience endless varieties of flavors, blends, textures, aromas and roasts? Angels' Cup is a "fly by the seat of your pants" coffee subscription service that prides itself on its unpredictability. 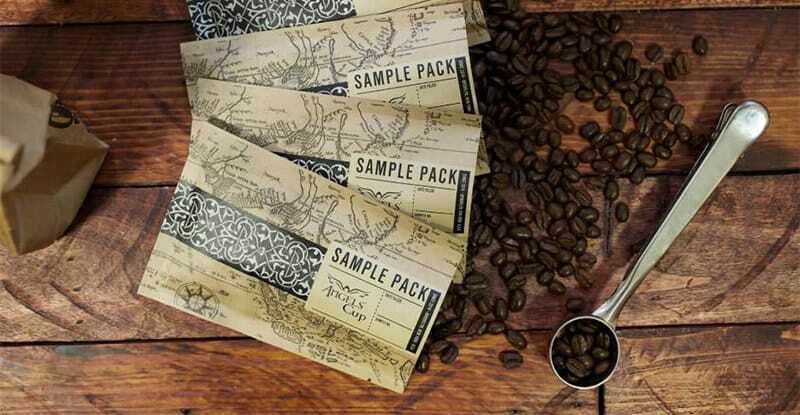 It offers more than 200 coffees in total, and it will send you choice selections in weekly sample packs. The coffee doesn't even come in marked bags; Angels' Cup asks you to try new flavors without bias. You can check the number on the bag and match it with its identifying information when you're done. Don't worry about getting these coffees confused, however. Angels' Cup offers an app that lets you track and record what you've already tried. You can even compare flavor notes with a roastmaster to figure out why you like the things that you like. Angels' Cup isn't your usual coffee subscription box, but if you enjoy trying new things and expanding your coffee knowledge through real-world trial and error, it's a brand that offers a uniquely useful service. If you don't mind surrendering your coffee choices to a higher power, you'll have a divine experience with Angels' Cup. Not all coffee subscription services are created equal. 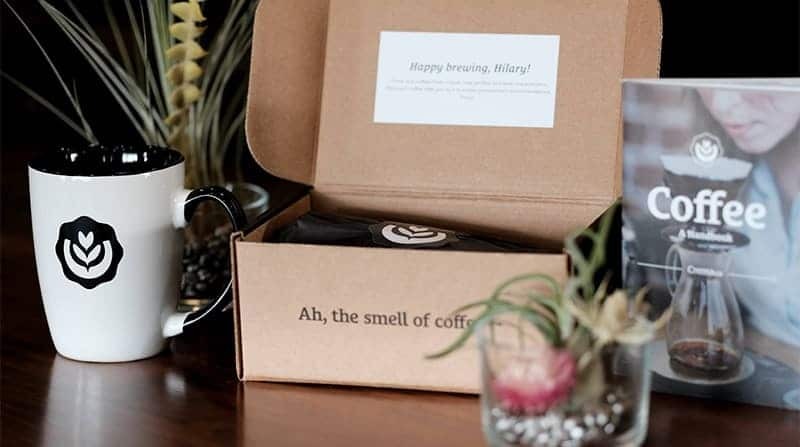 If you want to find one that you'll truly appreciate on those bleary, half-asleep mornings, here are just a few tips for selecting a top-notch coffee subscription box. Do you prefer grinds or whole beans? Do you want to be surprised when you open the box, or do you want to know exactly what you're getting every month? Are you looking for a subscription service that will send you small coffee samples from around the world, or do you prefer getting whole bags from local roasters? Delivery schedules are an important consideration when looking at coffee subscription boxes. If you only drink a few cups here and there, you don't need a box that delivers 12-ounce bags every week. On the flip side, if you're a serious caffeine addict, you're not going to be satisfied with two-ounce sample packs delivered bimonthly. Coffee beans start going through oxidation as soon as they're picked and roasted, so if you want ones that are rich and full of flavor, you'll need them to be freshly roasted and not sitting around in a warehouse until it's time to ship them to you. Look for subscription services that give specific information on their freshness. For example, they might say "roasted within 24 hours of ordering" or "roasted every Tuesday for delivery on Wednesday." Some subscription services will only send the coffee itself. Others will include little extras like filters and flavor guides. Before you commit yourself to any brand in particular, take a look at their website and see if they offer pictures or descriptions of sample boxes. You might be able to tell at a glance if it's something that interests you. These are just a few things to consider as you look at different coffee subscription boxes. They're usually month-to-month things, so if you sign up for a service that you dislike after a couple of shipments, just cancel and try something new!